We already asked the question (Print Design & Advertising)… How relevant is printed material in the digital age? Answer: Printed materials alone are of course not near enough, but we’re not living in a totally virtual world yet. There’s still a need for prints. And there’s still a need for signage. You’ve probably seen it around, when sitting in traffic. 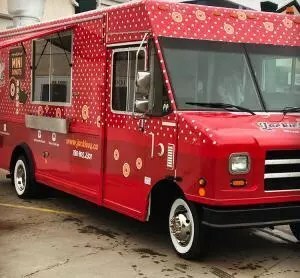 Many businesses advertise a brand new service on an old fashion billboard – for instance, a well known fast food chain’s sign that advertises mobile ordering for every driver to see who passes on a busy avenue. When the traditional meets the new, this is the best of both worlds, and great advertising! At Creative Coco’Nuts, we will tell you that, yes, signs are still relevant in today’s competitive market. 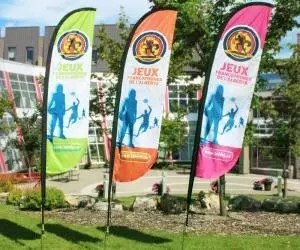 Signs allow you to advertise 24/7; they’re quasi permanent and last longer than most forms of promotional advertisement. Customers and potential customers will still judge you on how you look – no matter if you have a virtual store or a brick and mortar business. Signage will constantly reinforce your presence and your brand. 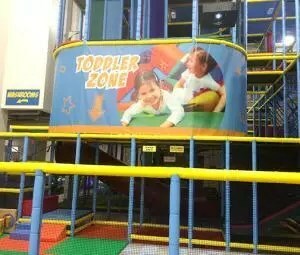 Signs also need to have a professional and appealing appearance to attract customers and most importantly, retain them. Here is the reasoning that Creative Coco’Nuts will use for your signage strategy and needs. As you know, brand exposure is everything. 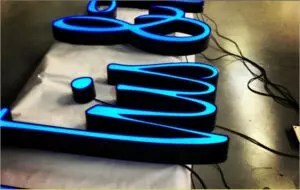 If you’re thinking of refreshing your outdoor signage or your commercial signs, if you need brand new lobby signs or retail displays, we’ll know how to customize your message and anchor it in this century. Your message (your brand) will need to be specific and simple. The size of the sign does not matter, it needs to be straight to the point and represent your company perfectly. 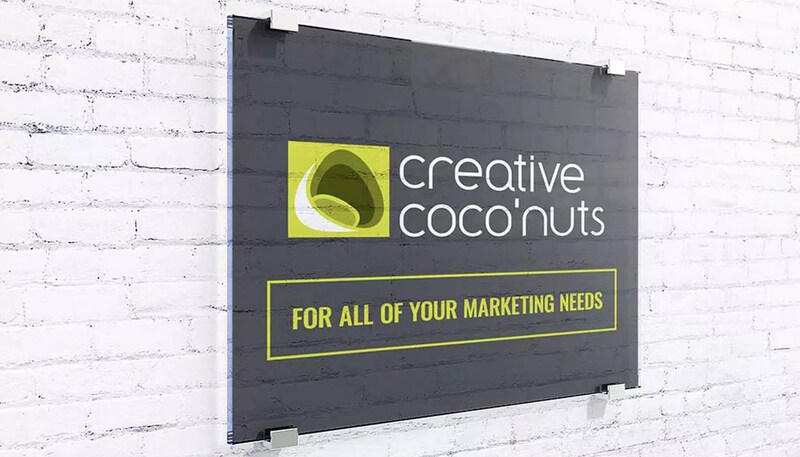 Like anything we include in your marketing plan here at Creative Coco’Nuts, the objective is also specific and simple: increase your brand exposure and market shares. The signs that we create will not only answer your needs, but they will be customized to your brand. After all, it’s all about orientation: we want to direct your customers to the right place. If they are outside, we want to attract them inside. When they are inside, we need to make it easy for them to know who you are or where to go. Simple, creative, attractive, this bench advertising campaign reinforces the brand and its exposure. But that’s not all. 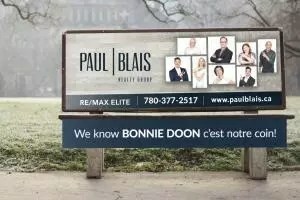 The customization of this particular project also includes knowing where to place the ad – in that case, on a specific bus route, in a specific Edmonton neighbourhood. People driving back and forth from work, usually using the same route everyday, will definitely notice this stupendous way of advertising. The brand becomes familiar and trusted, gaining value and legitimacy every time the same driver passes the bench and sees it, consciously or not. 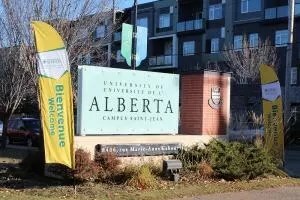 Customized signage always leads to differentiation, which in turn promotes your brand and services. Another example: Vehicle wraps are the best advertising billboards that you can have to support your corporate identity. 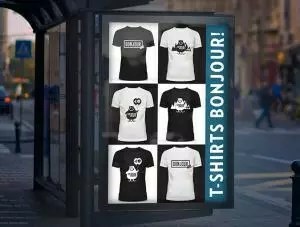 If well designed and used, this type of signage will draw attention to your company, brand and message in all the right ways (Good branding and how to use it). Why is this form of marketing essential? You want a constant communication with your customers and potential customers. Your signs will need to be attractive to attract them. Your signs need to draw attention to your website or phone number. Out there, though, everybody is trying to be unique to get people’s attention in a world where first impressions matter and people “just don’t have time”. So, once again, the simpler, the better, which does not mean that anybody can create the perfect signage. It takes experts with specific technical skills. It takes professional designers and marketers to reach your target audiences. At Creative Coco’Nuts, we handle everything from design to installation. That means that you do not need to worry about a thing, from layout to printing. After talking with you and analyzing all your business’ needs, we’ll take care of business! We will aim to have the best impact possible with the best innovative materials. Customers are presented with thousands of choices every minute of the day. 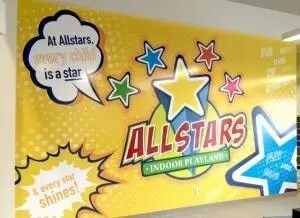 Unique and outstanding signage can mean them choosing between you and your competitors. The signs that we create invite people to come in, to know more. They welcome customers in your store, restaurant or small business. They orient your customers and make them feel at home. They’re a visual link that allows you to connect with your customers. In other words, signage is part of your branding solution. We will incorporate signage to our other services to present you with a complete solution. From branding to web design, from Internet marketing to mobile friendly sites, we have it all for you under one roof. For more information, please see our Signage service page!